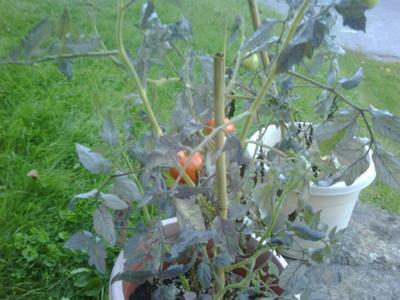 One of my tomato plants has turned completely gray. This doesn't seem to fit the description of any of the diseases mentioned on your website; should I be worried? What should I do? 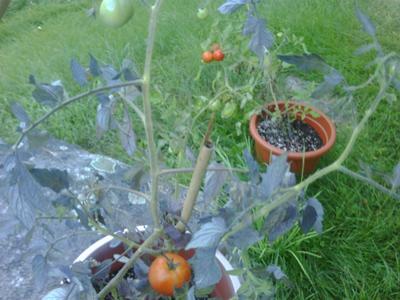 I have attached two photos of the gray plant (in which you can also see a healthy plant, for contrast).